ROAD•N•RACE AUTOMOTIVE was established in 1995 as a dual-specialty shop – street car maintenance and performance upgrades, and race car preparation and fabrication. 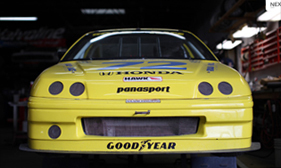 Starting out as a part-time business, ROAD•N•RACE quickly grew to a full time automotive repair and race car preparation facility. Located in Riviera Beach, ROAD•N•RACE is conveniently located just minutes from I-95. Since its beginning, ROAD•N•RACE has consistently provided excellence in service to customers. Personalized service and attention to detail are cornerstones of the business philosophy. These characteristics of care have earned ROAD•N•RACE an exemplary reputation, with virtually all new business coming via customer referral! While specializing in German make autos, ROAD•N•RACE successfully diagnoses and repairs almost every make of car. ROAD•N•RACE maintains a Mustang Dynamometer for accurate testing and tuning. Unlike many other “dynos,” Mustang Dynos are engineered to apply an accurate load, yielding real-world horsepower readings you can trust. Our Mustang Dyno is routinely used by ROAD•N•RACE staff for tuning street and track cars, and is also available by the hour to other tuners and owners who want the best in horsepower data for their cars. The Dyno is also available for your car club’s Dyno Day; call about special pricing for groups. For your convenience, ROAD•N•RACE has a product showroom adjacent to the shop. The showroom displays some of the many products that ROAD•N•RACE sells and recommends.